I’ve been doing a lot of updating since the official Dungeons and Dragons fifth edition rules came out last year. Next up on my list is updating the rules I wrote for the mind altering fantasy drug, orange spice. I wrote these rules last year using the final D&D Next playtest packet, so they’re due for an update. Orange spice was first discovered growing wild in the Paxa Forest of Parian by soldiers in The Emperor’s Military. They found that after smelling the vasiseing flowers their mood was enhanced and their movements and reflexes were quicker. They harvested the flowers to share with their platoon and soon the entire nation became aware of the wonderful effects of orange spice. They figured the source of the effect was the flower’s pollen and so they began harvesting the substance. Farms were erected and Parian’s merchants began selling orange spice over seas. It soon became clear orange spice had some terrible side effects. Many users developed a dangerous dependency which made them spend all their earnings on the drug. As these users ran out of money they began to live in squalor and turn to crime to feed their addictions. Others would take too much of the drug and overdose, which has a variety of random effects including death. As these effects became clear the drug was outlawed in Findalay. Initially, Parian was upset with these developments as the country was the main supplier of orange spice, but as its own government’s eyes became open to the effects on their people, the emperor outlawed the drug as well. In many ways this action was too little, too late. The trade was established and addicts created. Soon an international black market for the stuff was created. Today this same illegal market exists, bigger and more profitable than ever. The orange spice trade is now controlled by cartels small and large. Each cartel is a competing corporation in a business with no ethics and ruthless tactics. They are at war with law enforcement and each other. Orange spice is a stimulant. It makes users faster and full of life, but leaves them feeling immensely down once the effect wears off. A user can snort the drug directly, absorb it through their tongue, or smoke it in a paper or pipe. 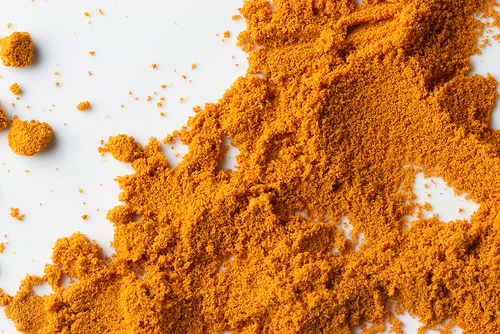 The going price for a hit (or one dose) of orange spice is usually around 1gp. One hit of orange spice grants users one extra action during their turn for the next hour. After the initial effect wears off, a secondary effect kicks in. Users must make a DC 15 Constitution saving throw. Users who fail the save are poisoned for the next 8 hours. Users who save are poisoned for 1 hour. The poisoned condition cannot be removed in any way, but it can be delayed by taking a second hit of orange spice, however the target risks overdosing (see below). Once the orange spice’s secondary effect wears off, targets must make a DC 15 Wisdom saving throw or become addicted. Each time a creature makes this saving throw within 1 month of the last time it made another Wisdom saving throw to avoid becoming addicted to orange spice, the DC increases by 1. Addicted creatures have a difficult time functioning without orange spice. When they aren’t using, addicted creatures are considered poisoned and need to use just to function normally. An addicted creature needs one hit to function without the poisoned effect for 1 hour and two hits to feel the effects of the orange spice outlined above. A creature who takes two hits of orange spice at one time has disadvantage on the Constitution saving throw made when the orange spice’s effects wear off. A creature can detox to lose their addicted condition, but they must not use orange spice for a month. So now that I’ve got a new module for addiction out there, you MIGHT want it for your game. If you do, there’s a free PDF in the link below and the same document will live forever on the Free Game Resources section of this site along with tons of other D&D fifth edition rules modules, backgrounds, monsters, spells, magic items, and more. Symptoms of withdrawal could also involve levels of exhaustion, like some diseases. The creature makes saves for a few days as they detox, gaining additional levels of exhaustion on a failure. The drug is out of their system when they remove all levels of exhaustion. Oh man. Great idea. I should totally have exhaustion in there!! !